Dominick graduated CUA in 2013 with a major in History. After graduating, he commissioned as a Second Lieutenant in the United States Army. After attending the Basic Officer Leadership Course at Fort Leonard Wood Missouri, LT Healey received follow-on assignment to Fort Polk Louisiana. While at Fort Polk, LT Healey led a Military Police platoon in the conduct of Police and Combat Support Operations for a year. He was certified as an Active Shooter Instructor by the Department of Homeland Security, and trained Military Police soldiers in methods of responding to Active Shooter Situations. Since promotion to First Lieutenant in January, 1LT Healey has assumed responsibility as Executive Officer of a Combat Advisor Company in the 353rd Infantry Regiment. His unit provides combat and cultural training to DOD branch personnel, Civilian agencies, and Allied Foreign Military Officers. 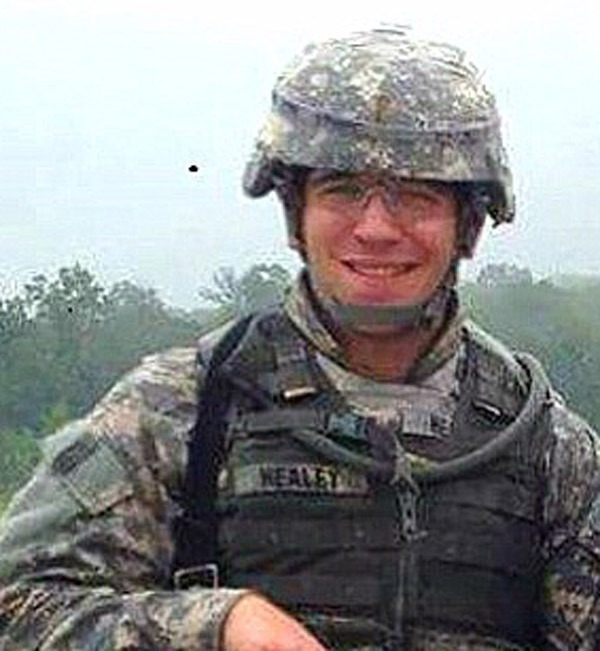 The education that 1LT Healey received at CUA was exemplary. His professors imbued him with critical thinking skills and a wide range of historical knowledge which can be applied to the humanistic dilemmas that he regularly confronts. 1LT Healey's education at CUA has helped him bring adaptability and flexibility to the unconventional requirements of his organization's mission.